So. Um. Happy new year everyone! Things turned kind of busy for me around the end of last year, so updates have been a bit sparse and I haven’t posted much since IndieCade. (Which was awesome, btw.) So where are things now, and what’s up next for Paper Dino Software? Ahem. Right. Yes. 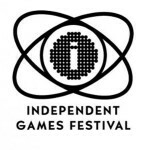 So Francisco and I will be at IGF this year! I mean, I’m usually there most years, poking around and playing cool games. But this time, I’ll be there from the other side of the booth, as it were. It probably goes without saying that I’m a bit excited about this development. The games this year look fantastic, and once again I find myself a bit humbled to be in their company. OMG OMG OMG OMG OMG OMG OMG OMG OMG OMG OMG OMG OMG OMG OMG OMG OMG OMG OMG OMG OMG OMG OMG OMG OMG OMG OMG OMG OMG OMG OMG OMG OMG OMG OMG OMG OMG OMG OMG OMG OMG OMG OMG OMG OMG OMG OMG OMG OMG OMG OMG OMG OMG OMG OMG OMG OMG OMG OMG OMG OMG OMG OMG OMG OMG OMG OMG OMG OMG OMG OMG OMG OMG OMG OMG OMG OMG OMG OMG OMG OMG OMG OMG OMG OMG OMG OMG OMG OMG OMG OMG OMG OMG OMG OMG OMG OMG OMG OMG OMG OMG OMG OMG OMG OMG OMG OMG OMG OMG OMG OMG OMG OMG OMG OMG OMG OMG OMG OMG OMG OMG OMG OMG OMG OMG OMG OMG OMG OMG OMG OMG OMG OMG OMG OMG OMG OMG OMG OMG OMG OMG OMG OMG OMG OMG OMG OMG OMG OMG OMG OMG OMG OMG OMG OMG OMG OMG OMG OMG OMG OMG OMG OMG OMG OMG OMG OMG OMG OMG OMG OMG OMG OMG OMG OMG OMG OMG OMG OMG OMG OMG OMG OMG OMG OMG OMG OMG OMG OMG OMG OMG OMG OMG OMG OMG OMG OMG OMG OMG OMG OMG OMG OMG OMG OMG OMG OMG OMG OMG OMG!!!!!! OMG OMG OMG OMG OMG OMG OMG OMG OMG OMG OMG OMG OMG OMG OMG OMG OMG OMG OMG OMG OMG OMG OMG OMG!!! OMG OMG OMG OMG OMG OMG OMG OMG OMG OMG OMG OMG OMG OMG OMG OMG OMG OMG OMG OMG OMG OMG OMG OMG OMG OMG OMG OMG OMG OMG OMG OMG OMG OMG OMG OMG OMG OMG OMG OMG OMG OMG OMG OMG OMG OMG OMG OMG OMG OMG OMG OMG OMG OMG OMG OMG OMG OMG OMG OMG OMG OMG OMG OMG OMG OMG OMG OMG OMG OMG OMG OMG OMG OMG OMG OMG OMG OMG OMG OMG OMG OMG OMG OMG OMG OMG OMG OMG OMG OMG OMG OMG OMG OMG OMG OMG OMG OMG OMG OMG OMG OMG!!!!!! If you like what I'm doing here, feel free to click this button and send me some Pavlovian reinforcement!